Dr. Abdul Qadeer Khokhar is the Chairman of Remington Pharmaceuticals. He is one of the leading figures in the pharmaceutical sector of the country and is recognized among the top thought leaders, entrepreneurs and CEOs of Pakistan in the book titled “100 Performing CEOs & Leaders of Pakistan”. Dr. Khokhar did his PhD in Pharmacy from King’s College London (UK). After completing his B. Pharm from the University of Punjab, he completed his M. Pharm from the University of Wales. He pursued his Doctorate at King's College London, where he joined the Research Group of Professor Arnold H. Beckett, an eminent scientist of world repute. His outstanding contributions during and after his Ph.D. were greatly appreciated by his co-researchers and he also authored several research papers in international journals. Currently he is a Member Board of Studies, Faculty of Pharmacy, University of The Punjab. He is recognized as one of the most eminent pharmacists in Pakistan. 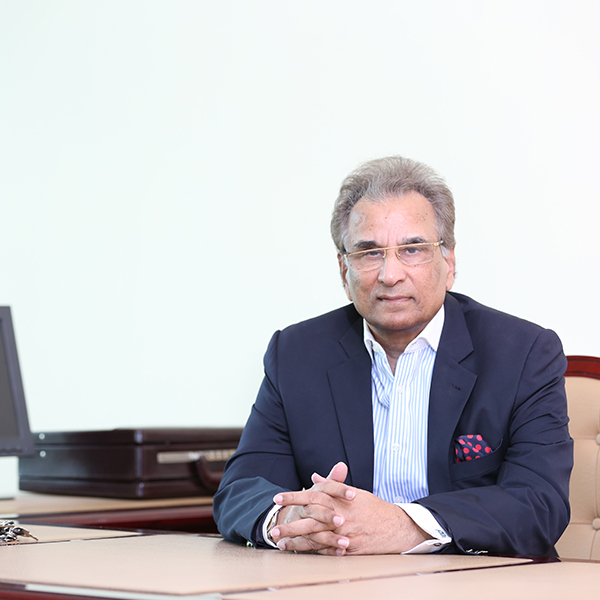 Until recently he was a Member Board of Management, Pakistan Drugs Testing and Research Center (a Government of Punjab undertaking), which is an independent contract research organization carrying out drugs testing and bioavailability/bioequivalence (BA/BE) studies and providing clinical, analytical and bioanalytical chemistry services. He was also a member of the Expert Panel (Ministry of Health, Pakistan) for inspection of bioequivalence centers. He has been Former Member Committee for Monitoring Drugs Sector (CMDS), Board of Governors of Pakistan Medical Research Council (PMRC), the Central Pharmacy Council, the Governing Council of Pakistan Council of Scientific and Industrial Research (PCSIR). He is also the Chairman of Remington Pharmaceuticals. He has been elected Chairman of Pakistan Pharmaceutical Manufacturer's Association (PPMA) twice and has been the President of Pakistan Pharmacist Association (PPA), Punjab. He represented PPMA on the Registration and Licensing Boards, Ministry of Health, Pakistan. Dr. Khokhar has spoken at numerous national and international conferences and has taught at various universities including the University of London (UK). Remington Pharmaceuticals Pakistan - Manufacturing & Marketing Highest Quality Branded Medicines. Remington is a Specialist branded generics pharmaceutical company having a state-of-the-art cGMP compliant manufacturing facilities with large capacities for manufacturing eye drops, tablets, capsules, syrups, dry suspensions, ointments, ear drops, and cephalosporins.